With some rather unfortunate delays is my report from last year’s Open Power Summit. Let’s dive in it, without further delay. It took place between 3th and 4th October 2018 in Amsterdam, Netherlands. It is event organized by the Open Power Foundation, steward of the Open Power CPU ISA. It is open and builds on top of the heritage of the past Power architectures, enabling any vendor or individual to dive in to the technical deeps of it or even implement it on their own. At the venue there have been booths of different foundation members and affiliated organizations. Like Raptor engineering with their Talos II and Blackbird platforms on showcase, Mellanox with accelerators cards, Yadro with big-data memory(RAM) dense servers or OpenCAPI consortium with bunch of accelerators from various manufacturers that are leveraging the OpenCAPI standard, just to note few. 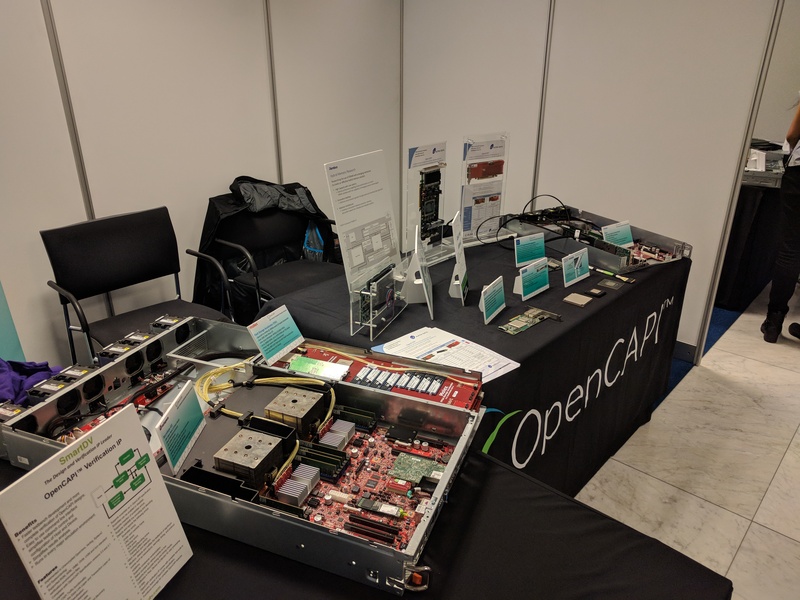 To add on the OpenCAPI it is open offspring of the CAPI that has been introduced by IBM with their Power8 architecture.